Right in the centre of Paris there is a structure that has been described as an architectural wonder and/or “that green glass monstrosity.” I know I’ve had both thoughts at one point or another while passing by what Parisians call La Canopée (The Canopy). Inaugurated in April of 2016, the Canopy was the product of five years of construction and nearly a billion Euros. More importantly, it was a major step in the complete overhaul of the area known as Les Halles. The goal was to create a new “beating heart” in the centre of Paris, but the story of Les Halles actually began over 800 years ago when a little food market staked its claim on the right bank of Paris. Originally called Les Champeaux (little fields), this was the site where Louis VI, otherwise known by the far less affectionate name of Louis Le Gros (Louis the Fat One), set up a fresh food market on an elevated mound tucked amongst the marshy fields of the right bank to serve the people of Paris. In 1183, King Philippe Auguste expanded the food market and built permanent stone buildings to protect both the shoppers and shopkeepers from the elements. This permanent structure eventually grew to become one of the central locations of Paris known as Les Halles. As the city expanded around it, so did the offerings on display, and hundreds of vendors would come to Paris to sell their wares. They would often leave behind rotting and leftover food, and when combined with the castoffs from the surrounding tanneries, butcher shops, and fish stores, the area eventually took on the nickname the guts of Paris. 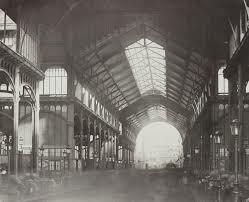 Les Halles was not spared during Emperor Napoleon III’s grand redesign of the city in the 19th century. In fact, he demanded that a brand new market be built, and that it would be made of “iron, iron, nothing but iron!” Architect Victor Baltard got to work and created a market made primarily from iron, steel, and glass that came to be known as the Baltard pavilions. Considered a jewel of 19th century architecture, this new market stood for nearly a century, and it was famously dubbed “the belly of Paris” by writer Emile Zola in his novel, Le Ventre de Paris. In the late 1960s, the decision was made that Baltard’s Les Halles was no longer adequate to serve the needs of the growing city. This was how the jewel of 19th century architecture came to be razed in order to make room for Forum Les Halles, a massive underground shopping complex. Its main purpose was to connect with three of the new RER train lines that were embedded under the city of Paris starting in 1962. At the time, the project was met with fierce opposition from critics who argued that dismantling Les Halles and Baltard’s pavilions was tantamount to architectural murder. They claimed that the loss would destroy the soul of Paris. While these declarations may seem overly dramatic, they were actually not far off the mark. In 1971, the Baltard Pavilions met the wrecking ball, and in their place Forum Les Halles emerged. Or rather, was submerged, as the new structure became one of the largest underground shopping malls in Europe. When completed in 1979, Forum Les Halles and the adjoining Chatelet-Les Halles train station became known as the hole in the middle of Paris. For many, this new version of Les Halles acted as an open wound and a constant reminder of what was lost. The area became a magnet for petty crime, and over the years its unsavoury reputation only added to the tragedy of Baltard’s lost work. In 2004, plans were set in motion to right the wrongs of the past. 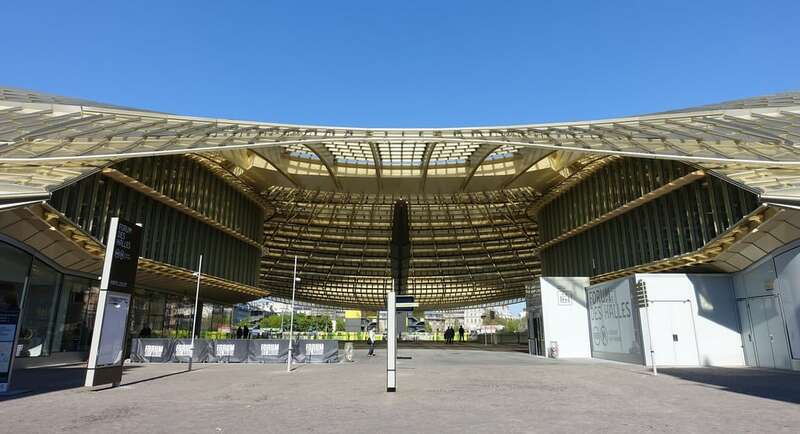 It was decided that Les Halles would once again get a facelift, and this time around, Paris was determined to prove that lessons had been learned from the architectural disaster of the 1970s. Today’s new design employs mainly steel and glass to invoke Baltard’s original creations with a contemporary twist. Work has continued since the Canopy’s inauguration on the public garden on the east side of the structure, and the area is expected to be fully complete by the end of this year. Reviews of the Canopy have been mixed, but there’s no denying that centuries later Louis VI’s little food market is still standing. It may be unrecognizable to those who knew this area as the guts of Paris, or the belly of the city, or even as the hole, but only time will tell if the wounds of past decades will heal and Les Halles will once again become the beating heart of Paris after all. 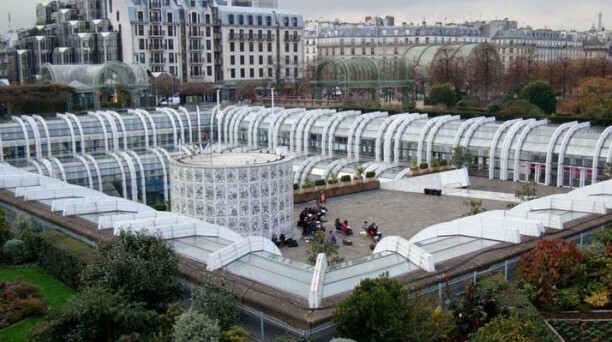 Forum Les Halles is open seven days a week, and contains over 130 shops, 23 restaurants, a 27 screen cinema, a swimming pool, and numerous cultural centres, so there’s lots to see and do. However, you don’t have to go shopping to see the Canopy. Covering over 2.5 hectares of space in the centre of Paris, this structure is pretty hard to miss, so definitely put this contemporary architectural wonder (yes, I’m going with wonder, not monstrosity) on your list of things to see the next time you’re in Paris.